Aviation is an industry that is heavily reliant on the internet and Hardy Aviation has recognized the importance of the internet and the role it plays for the continued viability of the organisation. 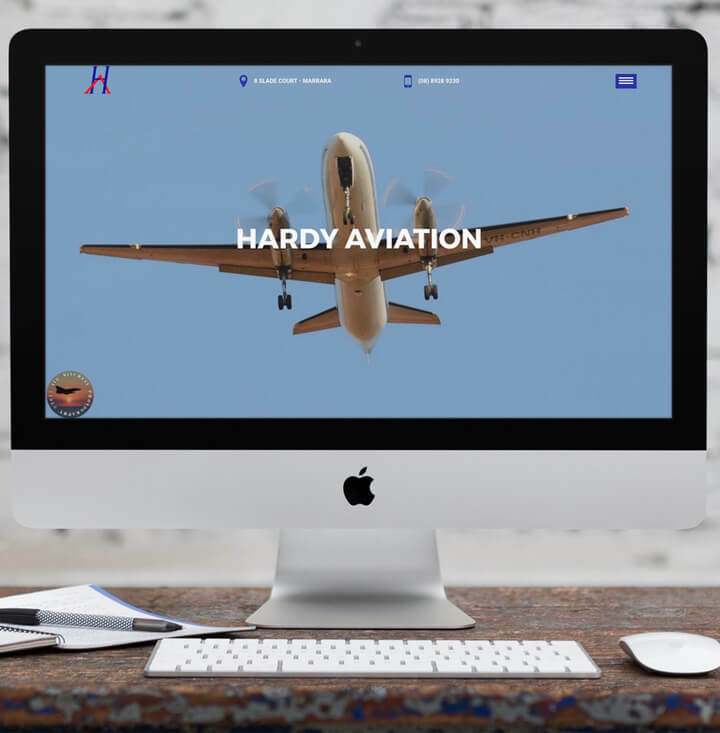 Hardy Aviation had an existing website; however, the design was outdated, as was the CMS used and it did not have the required documentation and information required by stakeholders. SLiM DIGITAL was engaged to re-build the website so that the design was modern and the website contained the relevant documentation and information. We conducted a half day scoping session of Hardy Aviation during which confirmed the brand identity, goals and site architecture for the website. From here the wireframes for the individual pages were drawn up and the content for the pages written up. At this point the H1, H2 headings e.t.c were identified. The homepage design was based on using the original colours of the Hardy Aviation logo and what was the number 1 thing they wanted users to do, request a quote. As such, the request a quote form was the first thing users came across. Once the homepage was approved, the remaining pages were designed accordingly. Design and development of a new bespoke website that improves visibility to stakeholders. Provided information for contacting Hardy Aviation and answers Stakeholders FAQ. Display applicable documentation for stakeholders. Handover and training on how to use the website administration panel. Minor updates made to the existing Fly Tiwi Website.